A friend of mine was looking for a bit of millinery to accessorize a wedding outfit. She is wearing a black and white dress with fuchsia shoes and clutch. I came up with this whimsy. 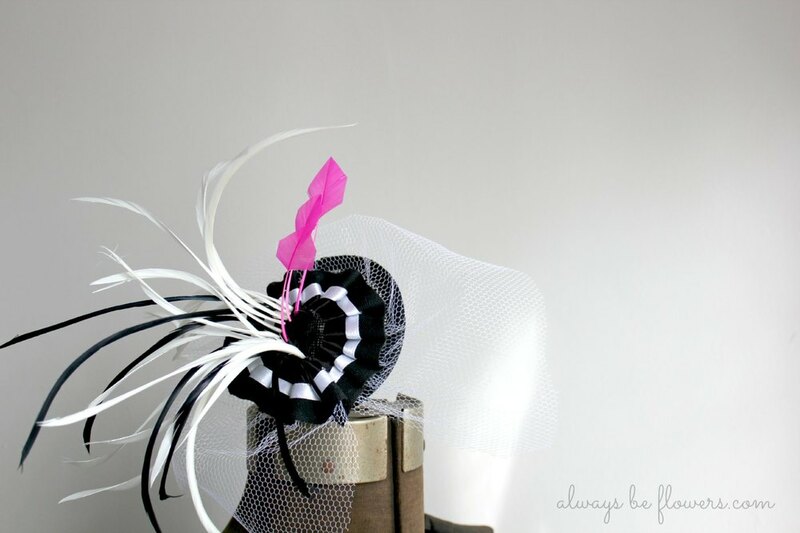 What I love about fascinators is that most women will try one, whereas many people think they cannot 'pull off' hats. Plus they are great conversation pieces! If you are attending a wedding without knowing many other guests, I highly suggest wearing a fascinator. You will have no problem striking up conversation. 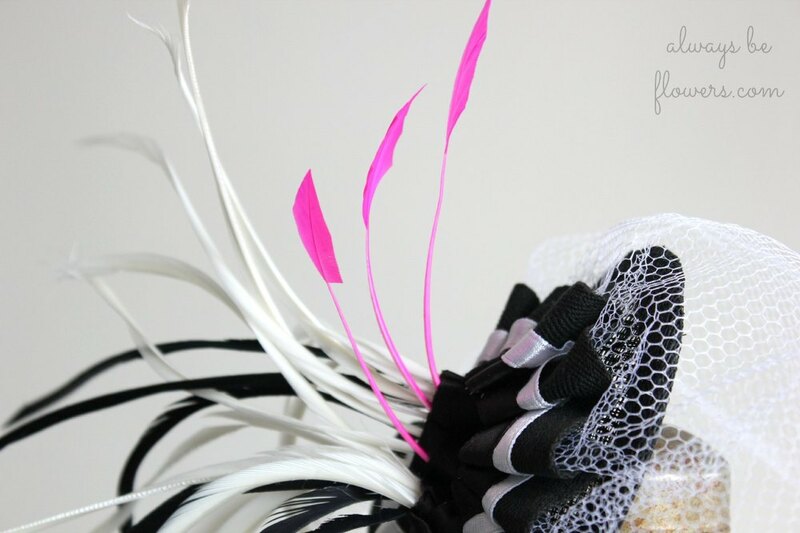 The pop of pink feathers will pull together the pink accessories she is pairing with a black and white dress. I think the sharp lines of these black and white feathers will play off the stripes in her dress. Here are pictures of Lisa dolled up at the wedding! We ended up trimming the white netting when Lisa tried on this piece. I think it looks even better. Now I am designing a headpiece for another friend. She gave me creative free reign, and I am thrilled!